Fueled largely by leverage (buying on margin increased 500%), China’s stock markets more than doubled in a twelve month period. Then, as the market fell from the sky, falling 30% in two weeks, China threw every administrative rule, government intervention and non-market measure it could at the market in an attempt to stem the slide. Unfortunately, it increasingly seems like this approach—more debt, less free market—is becoming the theme for China’s overall economic policy. It won’t work and the longer China sticks with that approach, the harder it will be to sustain growth over the long term. 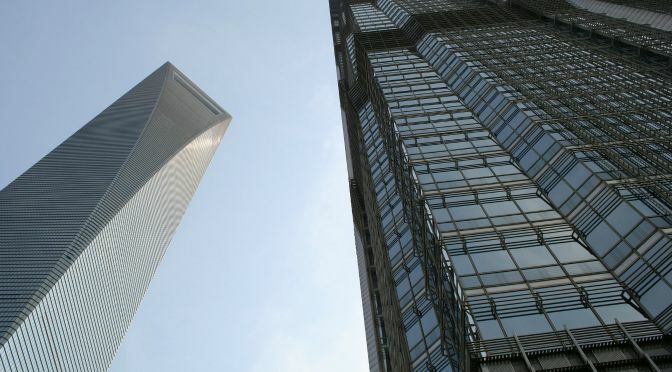 In the aftermath of the global financial crisis of 2008, China relied heavily upon investment-infrastructure and real estate—to bolster growth. The result is that from roughly 2009 to 2014, debt to GDP in China just about doubled, from 120% to 250%. While 250% won’t definitely spark a crisis, it is getting close to the point where serious repercussions will be hard to avoid. In 2015 China’s main economic challenge has been to balance debt with growth. While sounding a prudent note, China has also been gradually reducing interest rates and reserve requirements in a bid to spur borrowing and growth. It hasn’t worked, in part because, while business borrowing by operating companies has not increased much, margin in the stock market soared. In other words, instead of flowing into the real economy, much of the new borrowing has flowed into the stock market. That is helpful to neither the economy nor the market. The last thing China needs is another reason to add leverage to the economy, but that is exactly what the stock market has become as China enacts policies that will create more debt in order to support the market. More borrowing won’t help the market in the long-term, but it could hurt the economy. China has taken a gradual approach to economic liberalization for 35 years and, given its spectacular growth, it is hard to argue with that approach. Yet, particularly given China’s ongoing transition from exporter to consumer and the related deceleration in growth, the argument could be made that reform has become too gradual. Since taking office, China’s current president, Xi Jinping, has strongly affirmed China’s commitment to economic liberalization. His government has made some very useful reforms, like Free Trade Zones and further opening of the capital markets. But his overall approach is still very slow and gradual. We can’t blame Xi too much for using government intervention to support a collapsing market. Other countries, including the US, have done the same. The larger question is what Xi does after the market crisis passes. Reform means change and change can seem more daunting in an uncertain environment. If the stock market becomes yet another reason to delay economic reform, while the immediate impact won’t be huge, it could be a mistake that will slow China’s growth in the medium to long term. Prudence and reform have taken China this far. Will they stop doing what’s worked in the past? Since reform began in 1980, China has mostly been characterized by fairly conservative financial management and a bias toward gradual economic liberalization. 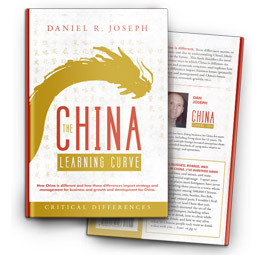 This approach held up even through crises and challenges, such as the Tiananmen Square incident in 1989, after which China continued on the path of liberalization, or the Asian Financial Crisis in the late 1990’s, when China resisted the temptation to devalue its currency and instead took a prudent approach to managing its way through that crisis. When the Global Financial Crisis hit in 2008, China’s national balance sheet was in a fairly strong position. Now that debt to GDP has more than doubled, that isn’t true anymore. While China continues to liberalize gradually, decisive action on key issues, like opening more industries to foreign investment, making state-owned enterprises more market oriented, and liberalizing the capital markets, is lacking. China’s economy isn’t in crisis (yet), but it is in the midst of a challenging and extremely important transition from an economy led by government supported investment and exports to an economy led by innovation and consumer spending. As part of this transition, the growth rate is slowing from the 8-10% range to the 5-7% range. This is the wrong time to be overburdened with debt and timid with reform. Let’s hope the stock market debacle doesn’t push China further in that direction.